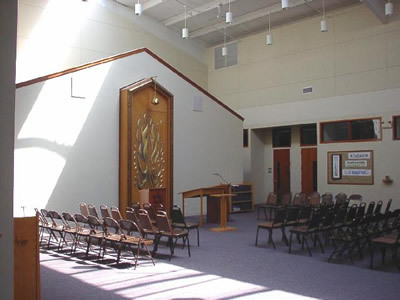 Congregation Beth Am is a quickly growing reform synagogue in the Northwest suburbs of Chicago. Even though the sanctuary is large, when the facility was designed, the clergy wanted a very intimate feeling. This was achieved by including a small thrust stage in front of raised stage (or Bimah). The audience wraps 180 degrees around the thrust stage and everyone is very close to the rabbi. A double wide podium, with two mics, sits on the thrust stage. 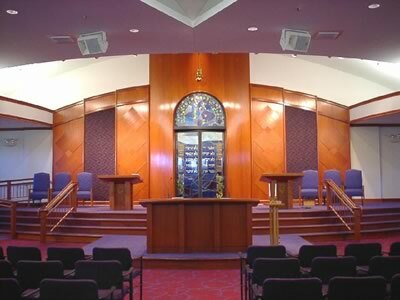 The thrust stage podium is large enough for two rabbis, a cantor and even a few more people during a large torah service. The two open thrust stage mics are almost just below the main speakers. This presents a particular challenge for feedback control. A DSP based signal processor provides equalization notches to ease the feedback concern. The religious school wing also includes a small sanctuary. Religious school students attend services, during Sunday school or Hebrew school, with out going into the main sanctuary. This system includes speakers hidden in the wall above some of the classrooms. Also, audio and video feeds from the main sanctuary are provided. With these feeds, and a portable TV, this room may be used for additional over flow crowds for the High Holidays. 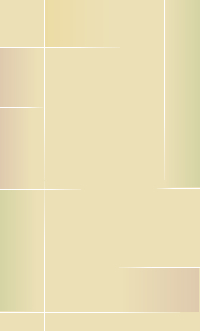 Like most synagogues, the attendance during the High Holidays is at least 20 times what it is during a typical service. To make room for the large audience, the thrust stage and the movable wall, which leads into a multi-purpose room, are removed. The multi-purpose room includes an independent sound system with a feed from the main sanctuary sound system. With a couple of quick preset button presses, the ceiling speakers in the multi-purpose room are properly delayed to match the sound in the main sanctuary. 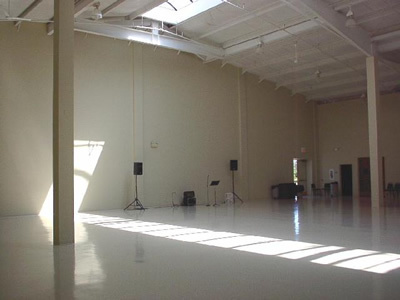 The social hall is a large open room, used for a variety of events ranging from dinners, to kids services to weddings. 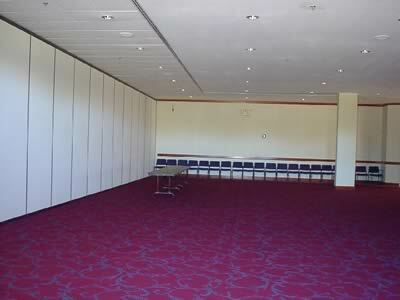 A small portable sound system is provided to cover this room and other areas or outside for special events.